Can you picture your favorite Thomas Kinkade painting? That was a trick question. 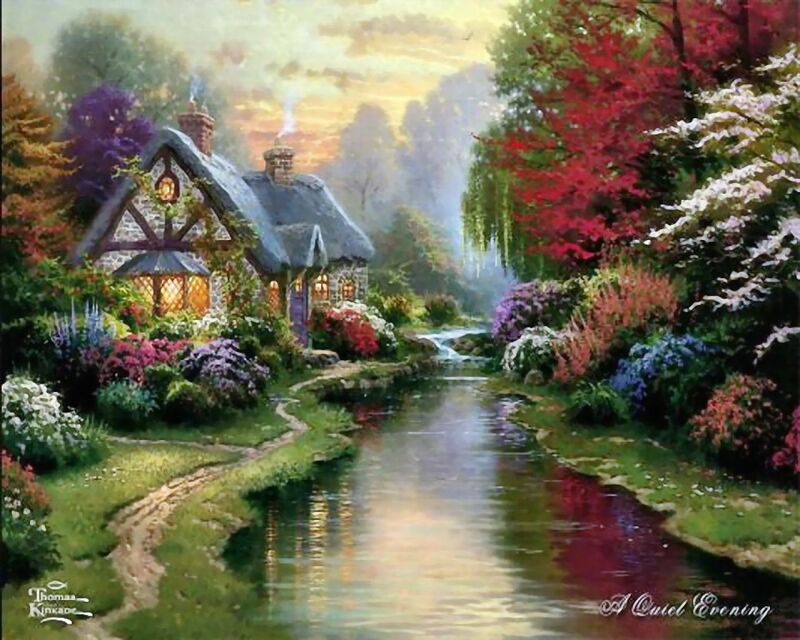 Can you picture ANY Thomas Kinkade painting? 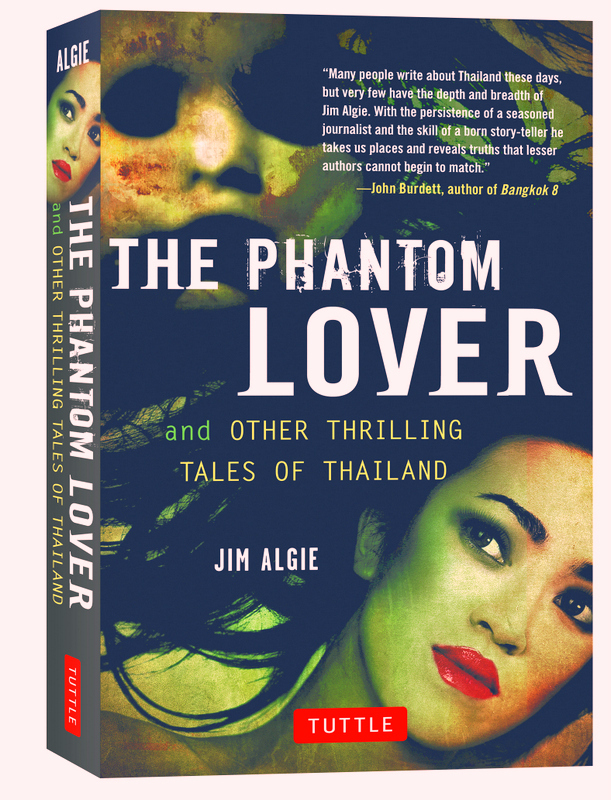 If you can do either, you’ll need to deviate 180 degrees from where you are to enter the bleak, dark world Jim Algie has painted, with brutal honesty, in his fine collection of short stories, THE PHANTOM LOVER and Other Thrilling Tales of Thailand. (Tuttle Publishing, Singapore 2014). ​The book has been available in Thailand bookstores since the beginning of the year. The Amazon.com release date was February 4, 2014, available in paperback or ebook format. The Phantom Lover is composed of 9 stories; the shortest being a mere 10 pages about a love affair regarding a male feline temptress with a hair fetish – The Vicious Little Monk. The longest and last is, Tsunami at 113 pages or over 1/3 of the book’s 319 total pages, detailing the devastation – physical and emotional – of the 2004 earthquake and subsequent destructive waves, set in Phuket, Thailand. While the first 8 can be read in any order, Tsunami is best read last as it uniquely serves as an epilogue, returning many of the previously read characters we have gotten to know in an ambitious, imperfect and entertaining novella-like finale. The book starts off well, with a personal favorite: Death Kiss of a King Cobra Show, featuring a Thai snake charmer, Yai. For this dear farang reader Algie’s writing style is refreshing in that he creates believable back stories for the Thai people we may have seen many times but never gotten to know or sadly, made no effort to know. Algie’s prose makes us glad we finally did, whether it is a fictional or semi-true tale – the blanks are filled in beautifully. It came as no surprise to me that the two blurbs on the book are from Thailand’s A List of fictional prose, John Burdett and Christopher G. Moore. Yes, the book has the occasional jar head, bar girl, writer/English teacher that doesn’t stretch the reader’s imagination much, but even they tend to be rougher, tougher and more emotionally intelligent than your standard fare. It is the unique Thai characters, like Yai, that stand out for me in this Haunted Mansion ride of a book. The Legendary Nobody, creates a believable character and biography for Thailand’s infamous mass murderer, See Ouey. Mr. Ouey is now famously preserved at the Songkran Niyomsane Forensic Medicine Museum located in Bangkok’s Siriraj Hospital. Another real life character that stands out is found in, Life and Death Sentences. A story about Chaovaret Juruboon, whom Algie memorializes in the beginning as: a rock n’ roller, a drinking buddy and Thailand’s last executioner. Both characters are fascinating based on information anyone could Google but it’s the details, some imagined and some true, filled in by Algie, which gave this reader such an entertaining ride. You may feel nauseated on occasion but you’re glad the ticket stub is in your pocket. Algie’s brush strokes include a once innocent bar girl who connived retaliation for all the wrongs inflicted upon her by the sordid, perverse and deviant behavior that exists in the Land of Smiles. It ends badly for one customer. Others describe fruit fornicators, necrophilia jokes, criminal philanthropists, a conflicted photojournalist, an honest but corrupt Bangladeshi human trafficker, and farangs living with their illusions and denials. Or worse yet, not living with them. Carl Jung was purported to have said, “Knowing your own darkness is the best method for knowing the darkness of other people.” If true, Jim Algie’s shadow must be pitch black and if not a constant companion a friend he can call upon, when needed. In all that darkness are characters trying to make sense of what appears to be a senseless world, sometimes with sardonic wit, sarcasm and black humor other times with the old reliable’s of kindness and caring coupled with an occasional bout of optimism and faith. The exchanges from that point on are great at recapping the effects and affects a mass tragedy like the Tsunami of 2004 had on hundreds of thousands of people. Of all the stories my favorite was, The Obituary for the Kaosan Road Outlaws and Imposters. It recalled a time on Khaosan Road in Bangkok, before it became trendy, when people still used pay phones. The back packers, adventurers and petty crooks who lived there found the living was cheap but not always easy. The 47 page story is a ripper of a yarn about the lives and inhabitants of what is now mostly a bygone era in Bangkok. The scene at the airport depicting the commission of an international felony in a pre-technology boarding pass scam is superb. You feel the fear as you read about the knocking knees. The Phantom Lover and Other Thrilling Tales of Thailand has something for almost everybody. If you’re the one with the Thomas Kinkade painting above your couch you’ll probably want to give it a pass. But if your tastes run closer to an oil painting by an artist with a severed ear, a Henry Miller watercolor, a Dali pen and ink, a Chris Coles acrylic or even a thumb-tacked poster of Dogs Playing Poker, these thrilling tales are framed beautifully and make for a great read. If you’re the one with the Thomas Kinkade painting above your couch you’ll probably want to give The Phantom Lover a pass. But if your tastes run closer to an oil painting by an artist with a severed ear, a Henry Miller watercolor, a Dali pen and ink, a Chris Coles acrylic or even a thumbtacked poster of Dogs Playing Poker, these thrilling tales are framed beautifully and make for a great read.